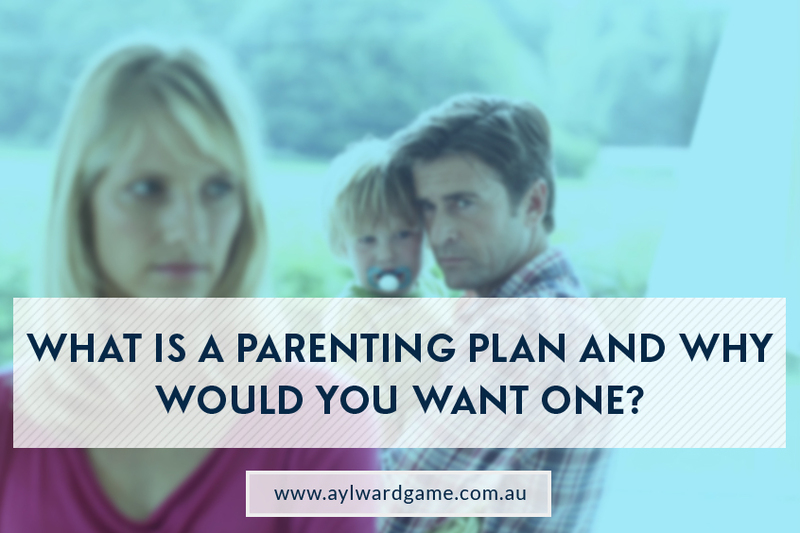 What Is a Parenting Plan and Why Would You Want One? Separation and divorce can prove to be a complicated process on a number of levels, even if there are no children involved. However, when a couple has had children together, working out an amicable arrangement can become a major point of conflict and concern. Many drawn out court battles have occurred over the years due to each party fighting over child custody rights. In the past this was almost always a tough process, but these days there are more options in place to help parting couples reach an agreement that is both fair for each parent as well as the children. When do you need a parenting plan? The parents may be parting ways, but the relationship dynamic for the children basically remains the same. They still want both parents in their lives. Today, many parents are opting for a less formal approach to negotiating rights regarding the children, and often this is achieved through professional mediation and the drawing up of a parenting plan. With a parenting plan, through the help of a mediator, arrangements are made regarding when the children will spend time with the father and the mother, for what time period, where they will spend their school holidays, as well as the financial aspects of supporting the children. For a parenting plan to be instigated successfully, both parents are going to need to adopt a mindset of fairness and be willing to compromise. This is all about what’s ultimately best for the children, as well as each parent. Parenting plans are generally a more unofficial agreement made between the two parties, designed to make sure everyone is on the same page and the arrangement is fair for both parents and children alike. Once the plan has been drawn up and agreed to, both parents sign the plan with the vow of honouring it. It’s not a legally binding document unless a signed and witnessed consent order has been filed with the courts. If you do wish to make it legally binding, then you will definitely need the assistance of a law firm that specialises in family law. Divorce and the separation of long-term de facto relationships can be stressful on many levels, especially where children are concerned. But a willingness of both parties to form a mutually beneficial parenting plan can relieve much of that stress. Reaching an amicable agreement outside the court room is always far more preferable to long and drawn out court proceedings to determine the outcome of child custody. To achieve a successful parenting plan, you need an experienced mediator, legal advice and, if you want to lodge the agreement with the courts to make it legally binding, you will definitely need a lawyer involved. At Aylward Game Solicitors in Brisbane, we can assist both you and your ex-partner in coming to a mutual agreement regarding shared custody of the children. We’ll sit down with you both and help you formulate a parenting plan that’s for the benefit of everyone involved. Talk to us today on 1800 217 217.